Former Prime Minister accuses Justice Minister of fascism following her row with Supreme Court President. Former Prime Minister Ehud Barak on Tuesday accused Justice Minister Ayelet Shaked (Jewish Home) of “fascism” following her row with the President of the Supreme Court, Justice Miriam Naor. "Shaked threatens the President of the Supreme Court, three times already this year. This is more extortion than threats of ‘separation of powers’. Only a rhinoceros would fail to see another small step towards fascism. And the opposition?" tweeted Barak. Barak’s comments come a day after Naor sent a sharply worded letter to Shaked, in which she made a veiled threat against Shaked if she delayed convening the Judicial Selection Committee which is supposed to announce the appointment of Esther Hayut as the next Chief Justice. "The Judicial Selection Committee will convene on a date that is convenient for all the members of the Committee, on July 18, 2017," Shaked announced. "Only after a discussion in principle will a date be set for a meeting of the Committee in which the identity of the President of the Supreme Court and his deputy will be determined,” she added. 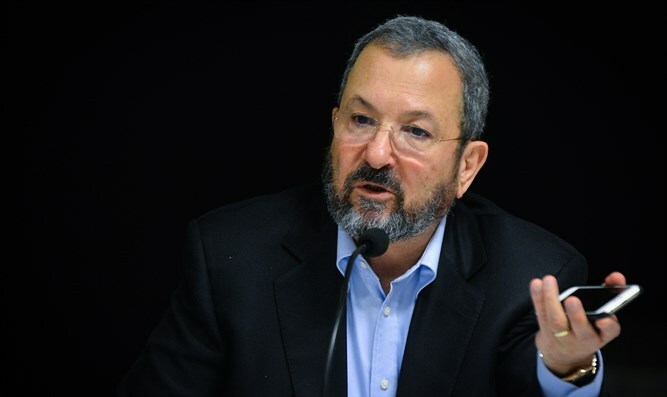 Barak has continuously blasted the Israeli government in recent months, particularly Prime Minister Binyamin Netanyahu. Last month Barak accused the government of leading towards a reality of one state with an Arab majority. Barak, who then served as Netanyahu’s Defense Minister, left the Labor party in 2011 in order to form the Independence party. It is unclear whether he still has political aspirations, though he recently attended a Labor party gathering.